For the last four years, Lisa Alzo has offered Fearless Females: 31 Blogging Prompts to Celebrate Women’s History Month. While I’ve only posted stories on a few of the prompts, I tend to write about the women in my family throughout the year. 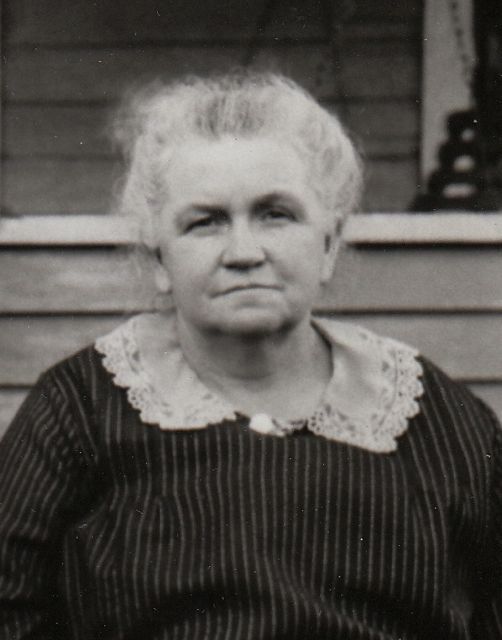 Recently, a post I wrote in February on my great-grandmother, Mary Eberhard Comfort, led to emails from three new cousins. We’ve been corresponding, and I wanted to share an example of how a simple blog post can lead to some pretty amazing collaboration. 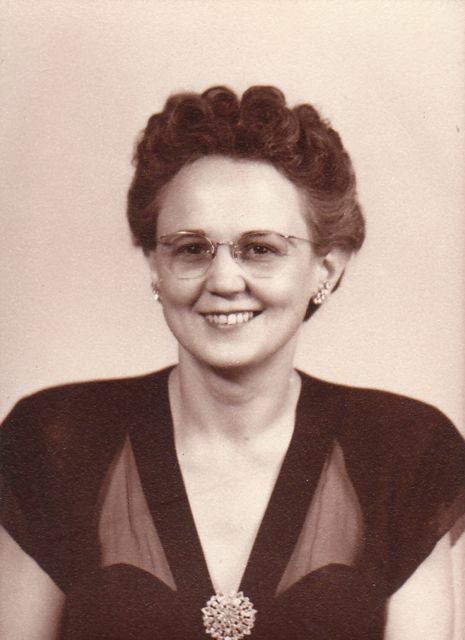 Mary’s mother was Polly Scheirer, whose photo I posted as a Fearless Female in a short post in 2011. I didn’t have much information on Polly’s life at the time, nor have I attempted to research her since. 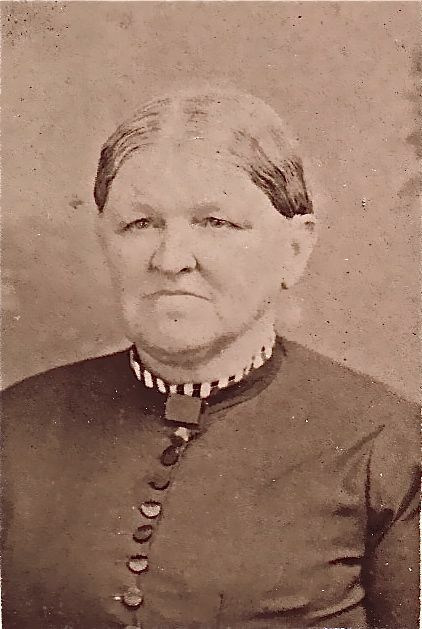 I just had a small copy of her image, labeled on the back by my grandmother, Nora Eberhard Ballenger. But my new-found cousins not only had more information about Polly—it turns out they also had the original charcoal drawing that my image must have been made from. The thing was, the drawing was unidentified, and they had no idea who it was of. It had nearly been thrown out several times over the years. Now, thanks to their willingness to keep an unknown drawing, my Grandma’s foresight in labeling her small copy, and my posting it on my blog, we’ve all come together. The drawing is identified, and we’re in the process of sharing what we know about the Comfort and Scheirer families, to everyone’s mutual benefit. That’s a modern genealogical success story, in my book. This experience has given me a new incentive to keep posting these kinds of pictures and stories about the women--and men--in my family. After all, you never know when someone might find one and reach out (that’s one reason why I put my email address on my home page). And I love making new connections with long-lost cousins, don’t you? For a charcoal drawing, especially, that is really an excellent image of Polly Scheirer Comfort! (Love the last name.) It's like a small miracle, isn't it, when new-found cousins appear with pictures and information, and you can pool your resources? In teaching college, I've read a lot about collaborative learning. I think that genealogy is THE collaborative pursuit. Even when we're alone, we're working with others' carefully compiled data. Must get more of my old photos out there! Still have loads of information and photos from a 3rd cousin--so much I haven't even inventoried what's there.